Pre-Release has just been updated with lots of new things for you to test out! 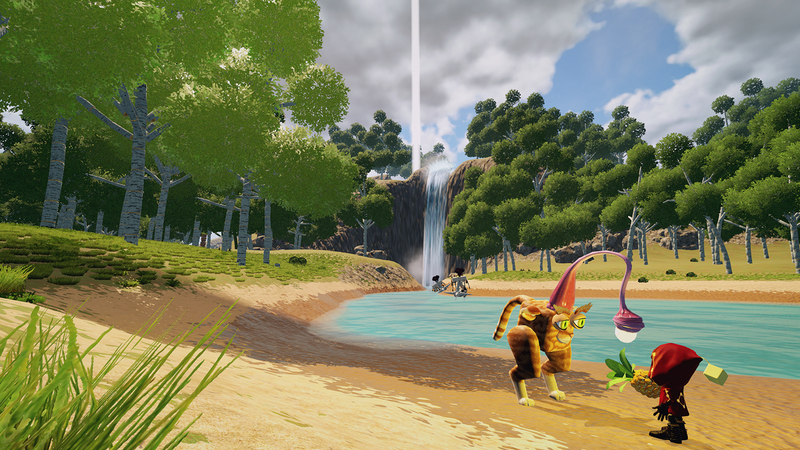 (Additional creature revamps, abilities, AI improvements, and more.) As always, we need your feedback! You can post all your thoughts and bugs on the Pre-Release feedback forum. Thank you! * If you’re not familiar with Pre-Release, it’s the unstable developer branch we use for testing new stuff. More info here. New Creature Ability Previewer in progress: get more info on abilities, what they do, and what’s required to add them to your creature. You can see the previewer wherever abilities are listed in the game. 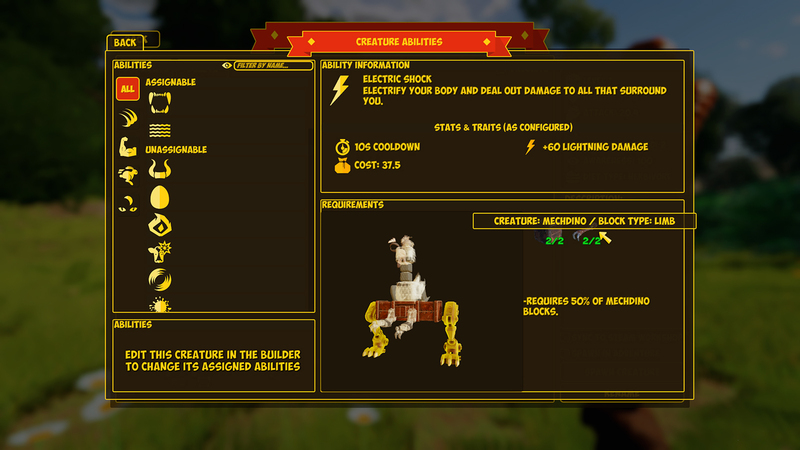 Electric Shock = 2 mech dino bodies + 2 mech dino limbs + your creature must be at least 50% mech dino parts overall! A tall order for a powerful ability. Revamped creature updates in progress! Cat leg notes: front legs animations are a bit wonky at the moment; fix is in progress! Geographical changes to the main Adventure Mode map (after the initial tutorial area) NOTE: This will cause saved Adventure games to get stuck loading! You’ll want to start a new Adventure by creating a new profile on the main menu. A lovely day for pineapples. Creatures now jostle for position. They’ll no longer try to not attack straight on when engaged. New tools added: New recipes for these items added to the crafting system, plus all new art based on creature parts! Not sure this chicken should be excited about something called the Chicken Claw Rake. 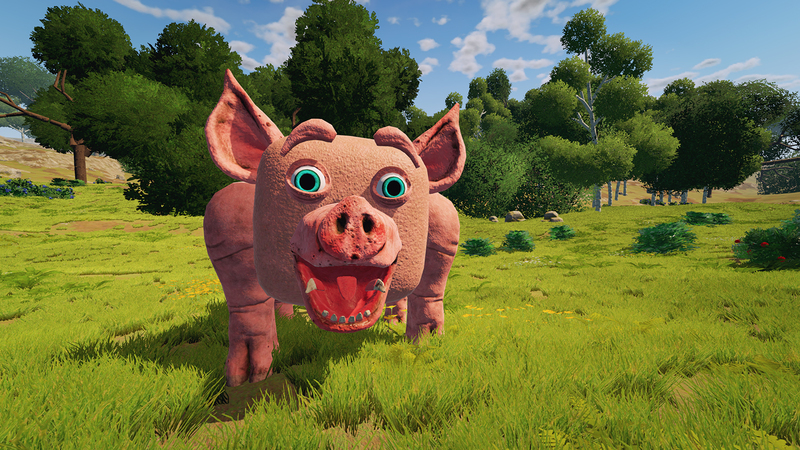 Please post on our forums with your feedback! 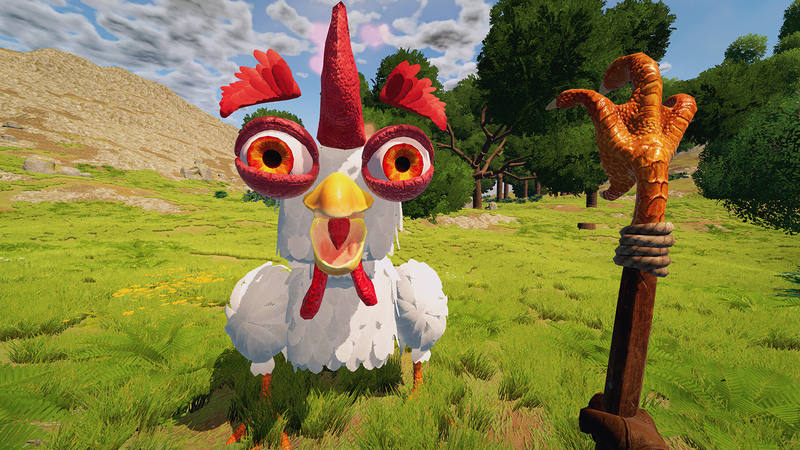 Or come join us on our CHKN discord share your thoughts, finding people to play with, or just to hang out. 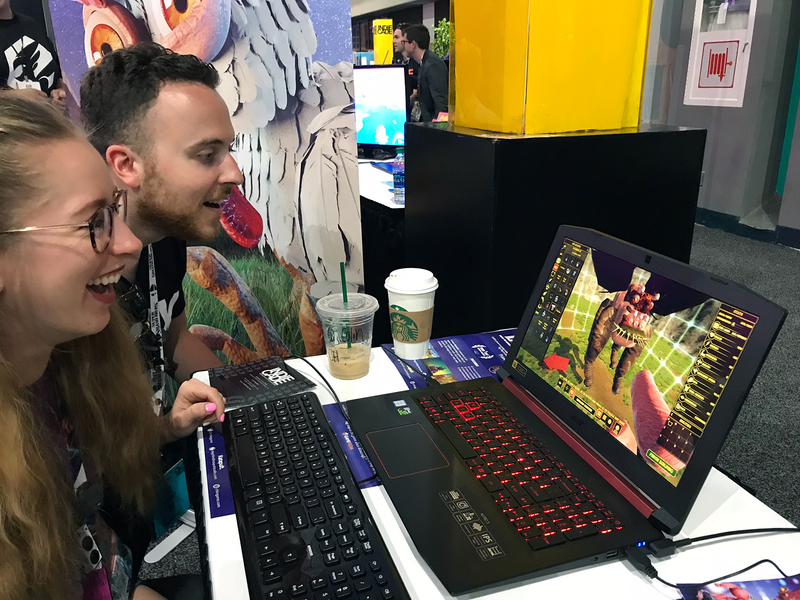 We’ve even got a whole channel dedicated to sharing creature creations so don’t forget to save yours to the Workshop so we can admire them.